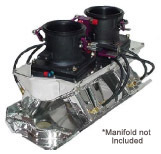 Tired of flushing your life savings through your racing engine in order to go faster? It’s time to try the Flying Toilet. We offer several sizes and various engine applications. You can go faster without going broke. 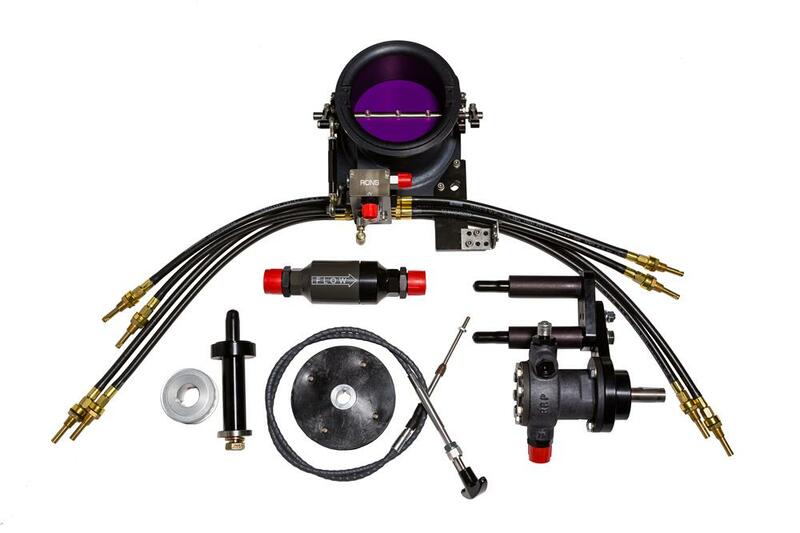 Our complete systems include the Throttle Body, Barrell Valve, Injector Hoses, Injector Nozzles, Nozzle Jets, Pill Pack (9pcs), Fuel Pump w/ Mounting Brackets Pulleys and Belt, Fuel Filter and Shut-off Cable w/cable clamp. PUT THE FUEL WHERE IT NEEDS TO BE! 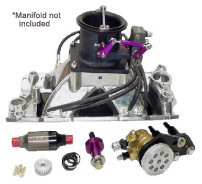 Carburetors mix the fuel load as they pull venturi vacuum. Injection however, provides instant fuel as soon as the throttle moves. The Flying Toilet is basically an air valve. The fuel is introduced into the engine near the bottom of the intake manifold runner closer to its final destination in the combustion chamber. Our unique cone shaped nozzles deliver the fuel in a fine mist.